There should be no shame in losing a fight, unless you quit or make up an excuse like breaking your toe. The boxing media will never forgive you for that and will constantly remind you every chance they get. 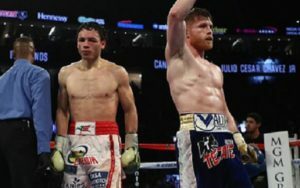 On Saturday night many of us witnessed one of the biggest screw jobs in boxing history. It wasn’t the worst, but the cries of corruption are loud and clear because it happened to the most popular figure in boxing. 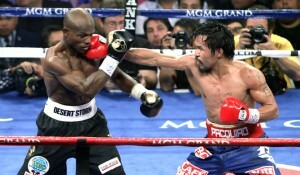 Manny Pacquiao’s split decision loss to Timothy Bradley is not the final nail in boxing’s coffin. Sure it’s a blemish on Pacquiao’s record, but in the grand scheme of things this loss doesn’t hurt his legacy one bit. Bad decisions are commonplace. Corruption is the norm. 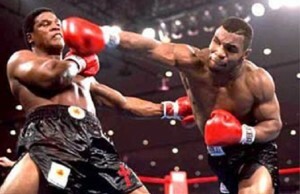 Boxing will live to see another day. However, there is a difference between inept judging and corruption. Many “journalists” have classified Saturday’s occurrence as poor judging as they continue to repeat the company line that’s fed to them by Top Rank and the Nevada State Athletic Commission. The most likely explanation is that Bradley’s victory over Pacquiao was a business decision, as was Pacquiao’s victory over Juan Manuel Marquez in November. So in honor of Manny Pacquiao’s screw job I have assembled the five worst decisions of the last five years in chronological order along with a special bonus selection. I could go back and list the worst screw jobs since 1884, but that would just be showing off. Remarks: Jose Armando Santa Cruz should’ve filed a police report since he was the victim of a New York style mugging. Santa Cruz constantly beat Casamayor to the punch, making the defending lightweight champion look old and slow in the process. Santa Cruz dropped Casamayor in the first round and went on to dominate just about every single round thereafter. But it wasn’t meant to be, as Casamayor received stolen goods and Santa Cruz got sent home empty handed. Remarks: Sergio Martinez was robbed of a victory thanks to referee Frank Santore Jr. The hijinks began in the seventh round when Martinez dropped Cintron with a left hand. Cintron was unable to get up before the referee’s count of ten and the fight was over. However, Cintron convinced the referee that he was knocked out due to a clash of heads and Santore inexplicably restarted the fight. Replays clearly showed Martinez delivering a knockout punch. To add insult to injury, Santore deducted a point from Martinez in the twelfth round for hitting behind the head. 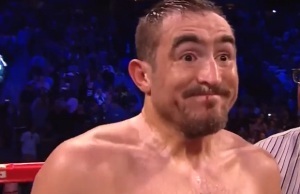 That point cost Martinez a unanimous decision victory. So to sum it all up, Martinez was jobbed out of a victory two times in a 30-minute span. Remarks: Paul Williams displayed courage in receiving a one-sided beating from Erislandy Lara. The punch stats are misleading, but they tell a story of a man throwing everything he had left despite being pummeled with clean and effective punches. Williams not only received a brutal beating from Lara, he also received one from the media due to this hideous decision. It wasn’t his fault that three corrupt judges gave him an undeserved victory. In the aftermath of this epic screw job, the New Jersey State Athletic Commission suspended all three judges and ordered them to undergo additional training before they get to judge another boxing match. Nearly a year later, these three shameless judges haven’t had the chance to render another tainted verdict. 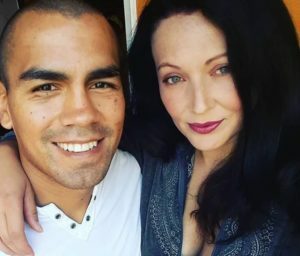 Remarks: Forget about going to the Bunny Ranch in Nevada, if a fighter ever wants to get screwed all he has to do is fight in Texas. Gabriel Campillo dominated IBF light heavyweight titlist Tavoris Cloud after surviving two first round knock downs. At best, Cloud won four rounds total, which would translate into a 114-112 judgment in favor of Campillo. However, the judges thought it was best to gift-wrap the win for the house fighter. Remarks: Chalk up this screw job decision to poor scoring, right? Well that would be the case if Bob Arum’s Top Rank wasn’t setting up a huge money showdown between Rios and Mexican legend Juan Manuel Marquez. This decision manufactured a lot of outrage from the boxing media, but many “fight scribes” were quick to point out that the fix was NOT in. Those Top Rank media luncheons must be mind blowing. Remarks: Manny Pacquiao’s unwavering opposition to all things homosexual is a matter of public record, but boy was he sodomized in Sin City by “the powers that be.” It’s a rare thing in boxing when boxing’s top star and money-maker gets robbed so blatantly. Conspiracy theories floating around the interwebs suggest that Bob Arum, who promotes both Pacquiao and Bradley, fixed the fight in order to create a new cash cow for his Top Rank stable. Considering Arum’s shady track record, such a conspiracy theory isn’t so far fetched. The preceding list has been the true definition of a Sh-t List and now I would like to invite you to submit your personal selections in the comments section below or email your comments to theshitlist@fightclubwriter.com.